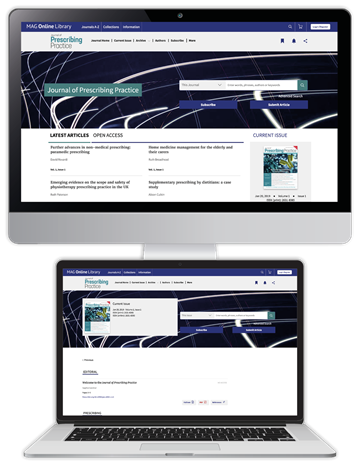 Journal of Prescribing Practice is the brand new, peer-reviewed journal dedicated to all non-medical prescribers. It is the official partner journal of the Association of Prescribers, focusing on pharmacology, calculation skills and prescribing for a range of clinical conditions. Formerly Nurse Prescribing, it has been rebranded and relaunched to better reflect the breadth of our content, represent the professions that prescribe, and meet the needs of every AfP member. This is your journal, providing the clinical and professional support required in practice. 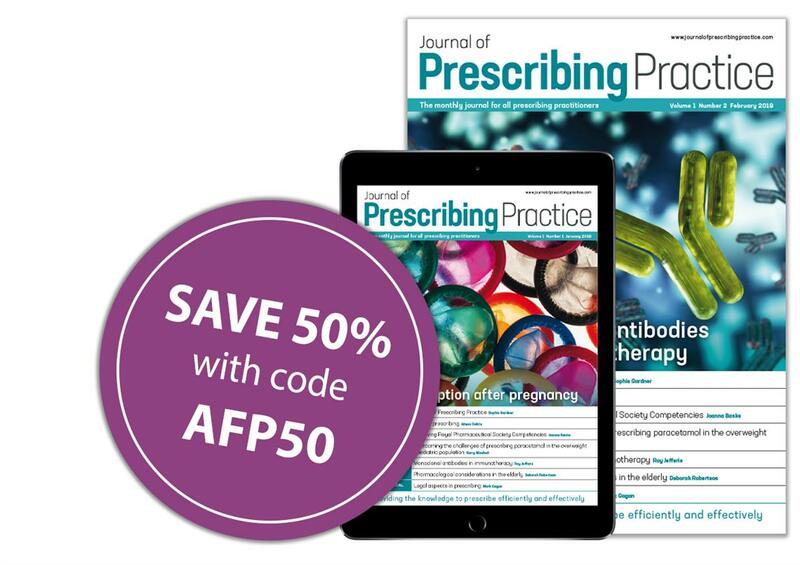 All members of the Association for Prescribers are entitled to an exclusive 50% discount on their subscription. To claim yours, simply select your preferred subscription option below, and enter code AFP50 when prompted. Your 50% saving will be calculated at the checkout.